Contractor Series. 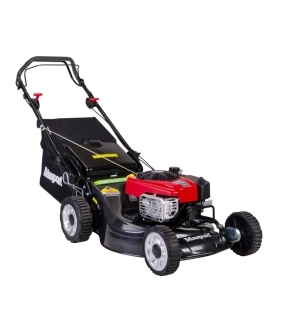 Powered by the Commercial Briggs & Stratton 850 engine, this 21" self propelled mower is perfect for large yards, small acreage and commercial use. Combined with the choice to either catch, mulch or rear discharge and a large 2.3 bushels Dacron catcher, this mower really takes the hard work out of cutting grass. Sale price on in stock units only.